Twitch streamer The Happy Hob has been attempting a feat he calls The God Run: a back-to-back playthrough of FromSoftware’s four Souls games and Bloodborne without taking a single hit in any of them. Under his self-imposed rules, if he does take a hit, he starts the whole five-game run over again from scratch. 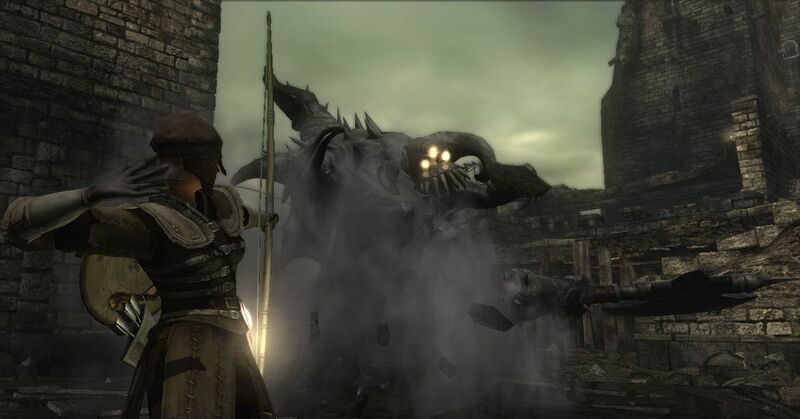 The Happy Hob came closer than ever to achieving that goal today, but his streak was ruined by an unexpected challenger — Demon’s Souls’ tutorial boss. The Happy Hob was well on his way to achieving The God Run. He’d completed Bloodborne, Dark Souls 2, Dark Souls, and Dark Souls 3 — in that order — without being hit by a single enemy. But after about 12 hours of streaming those games, it took less than five minutes for the fifth game on The God Run list, Demon’s Souls, to ruin The Happy Hob’s day. It was Vanguard, the boss of Demon’s Souls’ tutorial that was The God Run’s undoing. Now, Vanguard certainly isn’t the toughest boss in FromSoftware’s games. Far from it. It’s a slow-moving demon with only a few attacks, but the rubble that rains down as Vanguard swings its ax can be unpredictable. (Vanguard is also a completely optional boss, but it puts The Happy Hob’s God Run total boss count at 69, a funny number.) Vanguard is intended to be challenging to new players, but can be dispatched fairly easily by the likes of The Happy Hob.